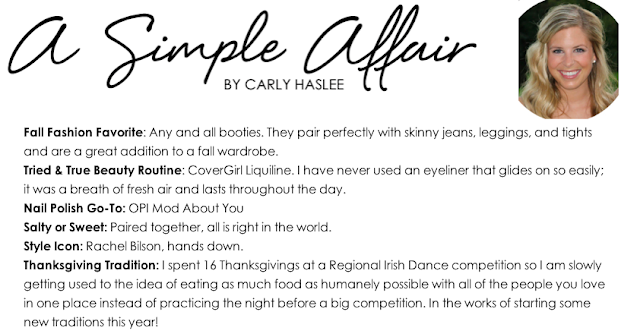 Today, I am featuring the lovely Carly from A Simple Affair! Carly is a fashion consultant and a closet organizer, but also has an amazing blog that showcases her perfect, all-american style. I love her DIY posts, and her outfit posts are too cute! 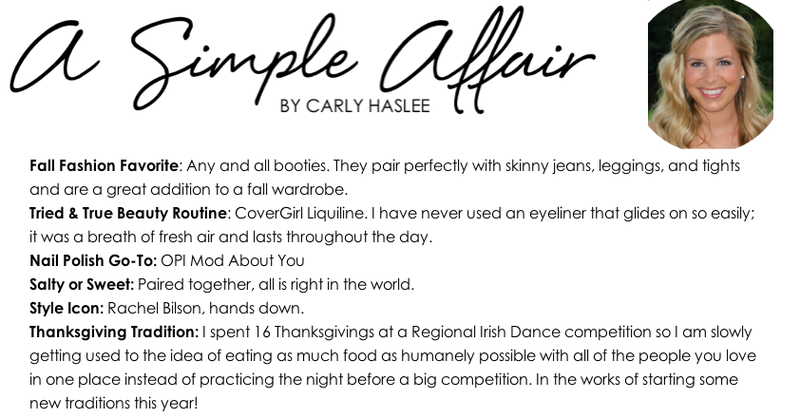 I cannot wait to see what Carly does next with her style and blog.